If you’re thinking about becoming an accountant or pursuing a career in accounting, it’s important to make sure you have the right education, experience, and background skills before jumping into the field. Here’s a look at some of the key requirements for accountants, including what to expect from an accounting job and how to land the position. Most accountants complete at least a bachelor's degree with a focus on accounting. Individuals who want to work for public accounting firms must pass the Certified Public Accountant (CPA) exam. Almost all states require accountants to acquire at least 150 college credits in order to sit for the CPA exam. In addition to completing an undergraduate degree in accounting or a related discipline, most candidates take additional graduate work, often culminating in an MBA to complete the remaining credits. To find out the requirements relevant to your state, visit the American Institute of CPAs (to learn more about how to become a certified public accountant in your region. Accountants work with numbers, so they need to have strong mathematical skills. Accountants should be diligent and detail-oriented, as the job requires combing through volumes of financial data to search for problems and irregularities. Because accounting is governed by various rules and regulations, accountants must be able to learn and apply complex principles that are likely to change over time. If you want to become an accountant, a strong thirst for knowledge will serve you well. Public accountants audit the finances of a vast array of businesses, governmental entities, and non-profit organizations. They must be able to quickly learn how these operations are conducted and gain familiarity with the specific regulations that apply in these sectors. Accountants spend considerable time working alone and must be comfortable in this mode. They also must interact and communicate with staff at client organizations in order to secure the information necessary to conduct audits and understand business practices. If you’re overly sensitive, an accounting career might not be for you, as accountants are sometimes treated coolly by staff members who fear that their mistakes may be uncovered by the accountant's work. 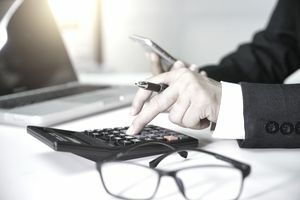 In addition, accountants need solid analytical and problem-solving skills in order to discern flawed financial processes and to recommend better practices. Accountants need a strong sense of ethics to structure appropriate controls and apply standards to their organizations. When hiring candidates, employers will look for evidence of success in accounting coursework as well as overall academic achievement. The big four public accounting firms generally interview candidates with a 3.5 GPA or higher. However, they will consider many other factors including the overall rigor of the curriculum, GPA in accounting coursework, and a pattern of improvement over time. Candidates who have excelled as campus leaders, athletes or worked many hours while in school may get selected with somewhat lower GPAs. Campus Recruiting Programs. Accounting candidates are heavily recruited through campus interviewing programs. Campus interviews for graduating students take place early in the fall of their final year. Here's information on college recruiting programs. Intern to Hire. Students who have completed accounting internships in their junior or senior year will have a distinct edge in landing post-grad jobs. Campus recruiting for internship positions takes place in the winter and spring. If you’re still in college and considering an accountant career, check with your career office during the spring of your sophomore year to discuss strategies for finding an accounting internship. Networking. Even though many accounting graduates will land jobs through campus recruiting, networking is still an important strategy for landing jobs. Start your networking efforts during your sophomore year in college. Ask your career office for a list of accounting alumni who you could contact for information and advice. Conduct informational interviews with as many alumni as possible. If you hit it off well with an alum, ask if you might shadow them over a school break to solidify your connection. Reach out to faculty, family, friends, neighbors and former supervisors. Ask for referrals to accountants they know for informational consultations. These informational interviews can often lead to referrals for internships or jobs if you make a favorable impression. Get to Know Your Professors. Cultivate strong relationships with accounting faculty. Offer to help them with research projects or administrative tasks. Meet with them during office hours and ask for career advice. Offer to tutor beginning accounting students. Employers will often ask accounting professors to recommend strong candidates. Search major job sites like Indeed.com and Simplyhired.com by common accounting job titles to generate a list of leads. Tap specialized finance and accounting specific job sites to access more listings. Interviewers will often probe for your knowledge of accounting and may ask you some questions about accounting concepts or approaches. For example, they might ask "What are some of the challenges in constructing a statement of cash flows?" or "Describe the accounting problem or project that tested your knowledge the most." Employers may also ask why you have chosen the field in to see if you're a good fit for the company. Make sure that you have spoken to many accounting professionals, asked them what they like about their work, and then matched those findings up with your own interests. You will often be asked what will make you a good accountant. Think of five to seven strengths that will qualify you to succeed in the field. Prepare anecdotes and examples of how you have applied those skills, whether it is in part-time jobs, internships, extra-curricular activities, or academic work. Your informational meetings with accounting professionals can also help you to prepare for this type of question. Ask them what it takes to excel in their job and look for the overlap with your strengths. Many accounting recruiters will ask behavioral questions to evaluate whether you possess the ideal characteristics to succeed in the field. They may ask you to describe situations where you met certain challenges or to give examples of how you have applied certain skills. Review each of your resume citations and think about the successes you generated in those situations. Be prepared to reference the strengths you used to achieve those positive results. Credibility is critical for accountants. Recruiters will be carefully evaluating you to make sure you have the right image to inspire confidence in their clients. Dress for success with a conservative interviewing outfit. Consult with your career office staff if you have any questions. After the interview, take the time to follow up. Send an email thank you message that clearly states your strong interest in the job, how it is an excellent fit for you, and how thankful you were for the opportunity to meet. If you have multiple interviewers, try to think of something different to mention in your letter to each interviewer to show your attention to detail and interest in the job.